D-form is a new add to Little Liffner collection. A timeless piece that has always it place in our wardrobes. Bag that has long roots in our history. First as a bag that was attached to the horse riding saddle. Later on carried across or on the shoulder. 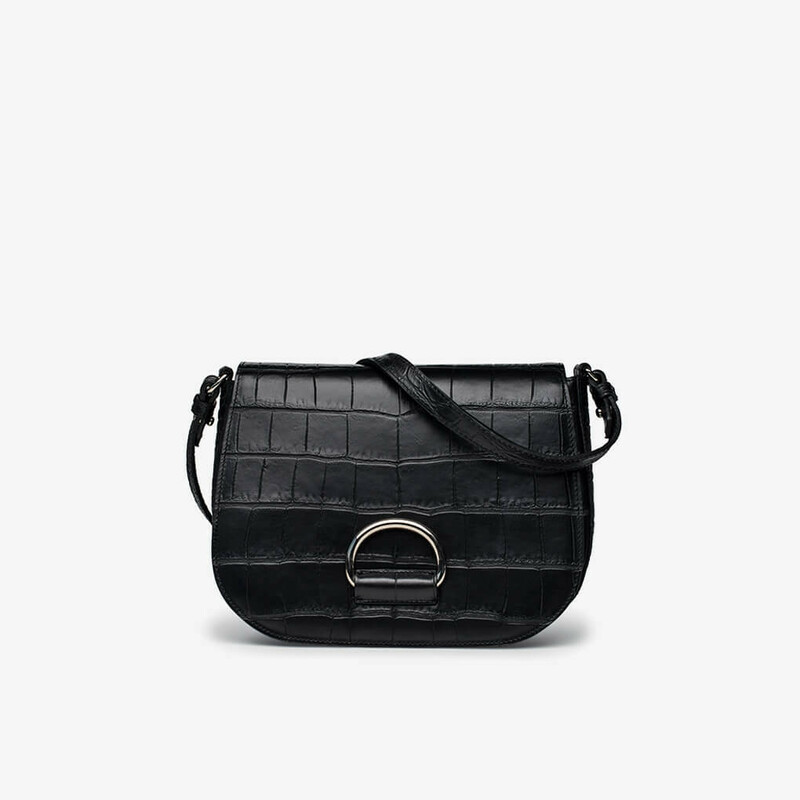 This modern version from Little Liffner is made from crocodile embossed calf leather. Material and construction preserves a stable feeling to the bag. Flap lock is lined with velvety suede for smooth pleasant grip. 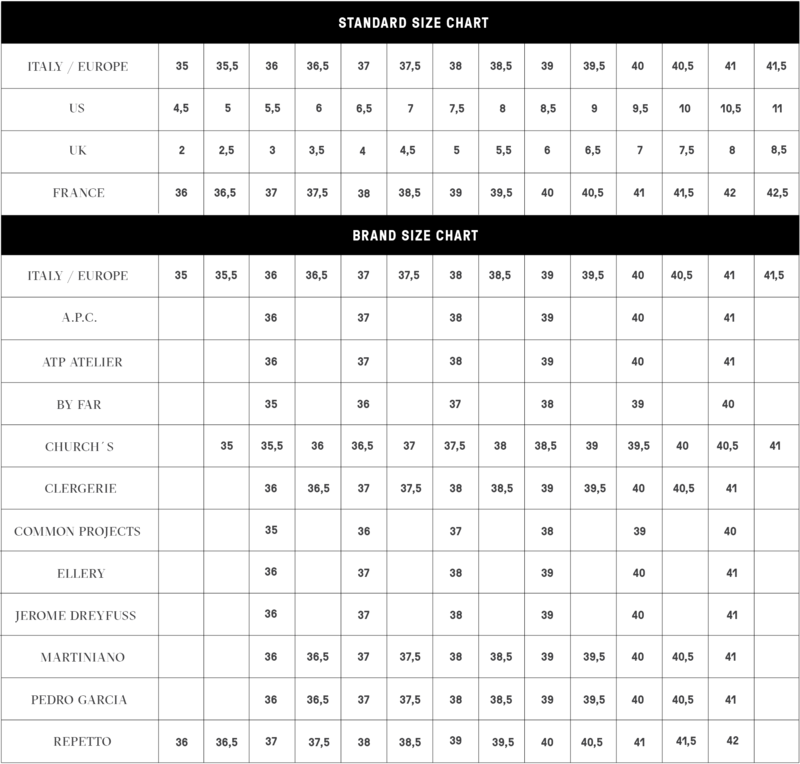 Internal lining in cotton canvas is unattached to the upper thus allowing easy cl. Read more..
Flap lock is lined with velvety suede for smooth pleasant grip. Internal lining in cotton canvas is unattached to the upper thus allowing easy cleaning. One internal pocket with zipper and foiled Little Liffner logo. Patch pocket for phone made from upper leather. Adjustable shoulder strap. Painted edges. Silver tone metal hardware. 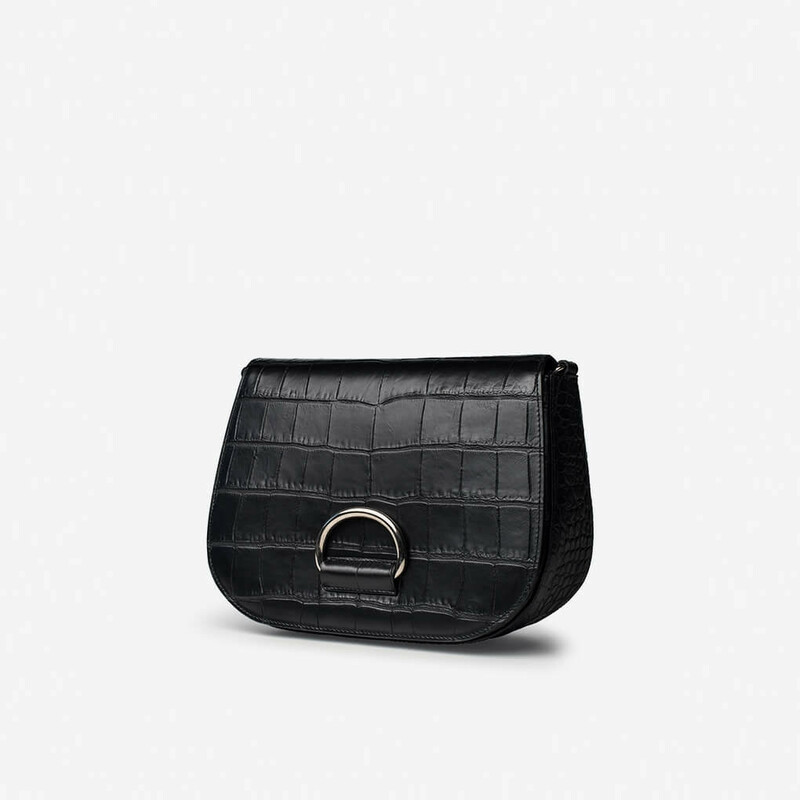 1 x D Saddle Black Croc was added to your shopping bag. 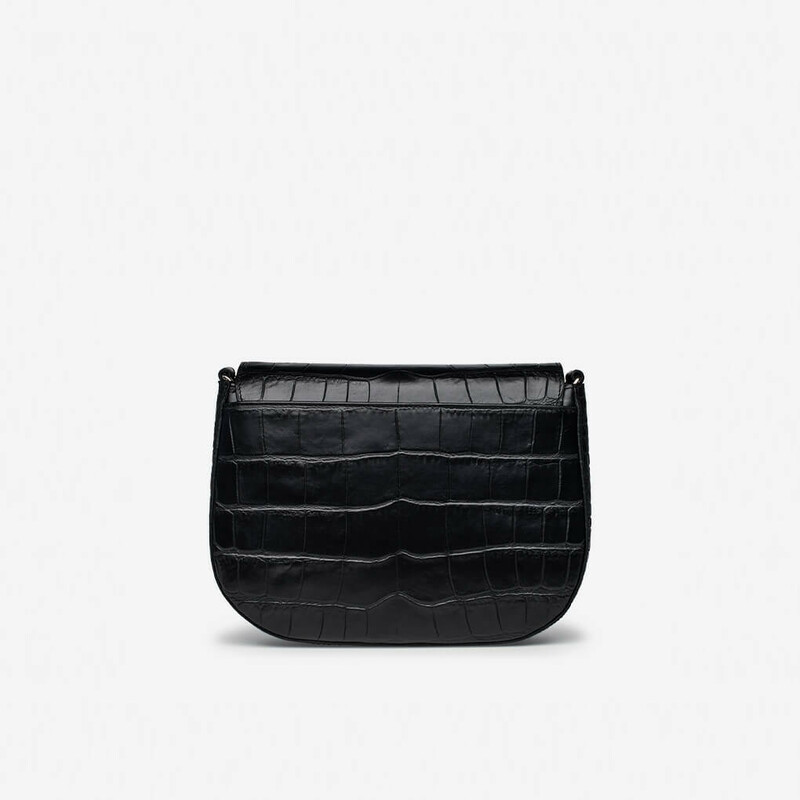 1 x D Saddle Black Croc was added to your wishlist.